Thank you for visiting our website and interest about our products! 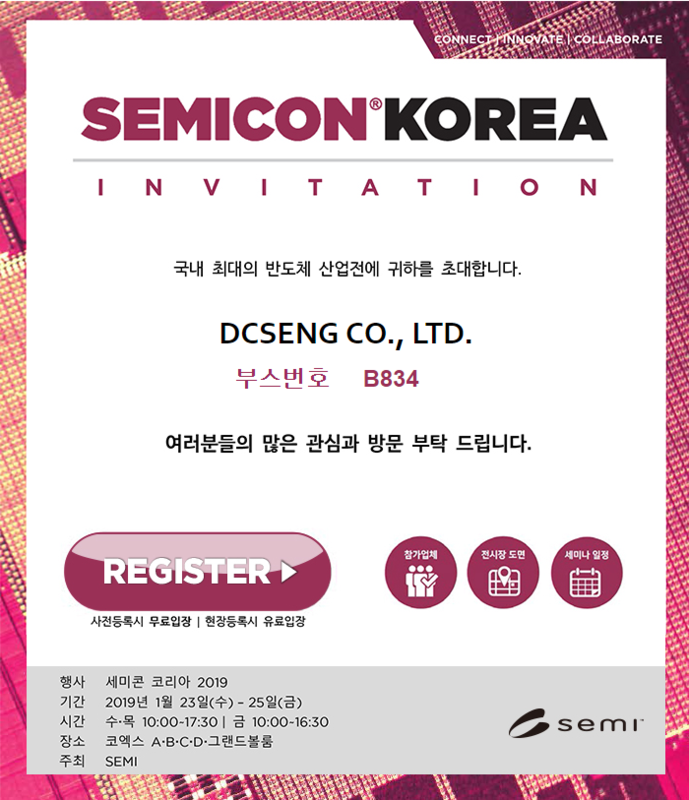 We are pleased to announce that we will be exhibiting at SEMICON KOREA 2019 in Korea. I can't wait to see you and introduce our new products! Please visit our booth to see what amazing machine it is! We will represent S - LT Series, S-500, S-150, S-CM4 Series and new products. We look forward to meeting you in there. Products : S - LT Series, S-500, S-150, S-CM4 Series and new products. « [ARTICLE] DCSENG's story is posted on "Chungcheongbuk-do Province magazine"